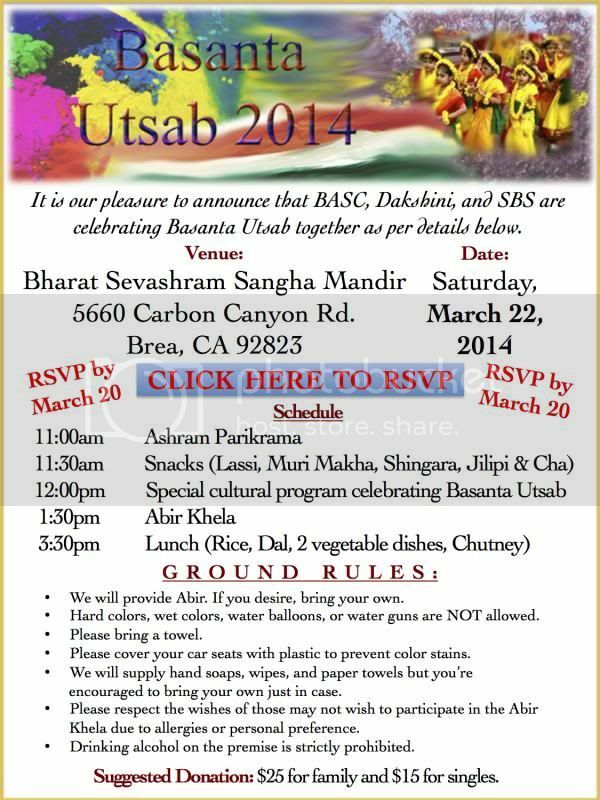 According to the RSVP for Basanta Utsab 2014, we already almost have 300 people who have confirmed attendance. Parking is now a concern for us and there may not be enough room to accommodate so many cars. We therefore request you to consider carpooling with friends, if possible. There are some designated locations around the Ashram at which we will try to accommodate but please note that due to security reasons of the Ashram complex, we might not able able to accommodate all cars. So, please do come early if you want to take part in this event! 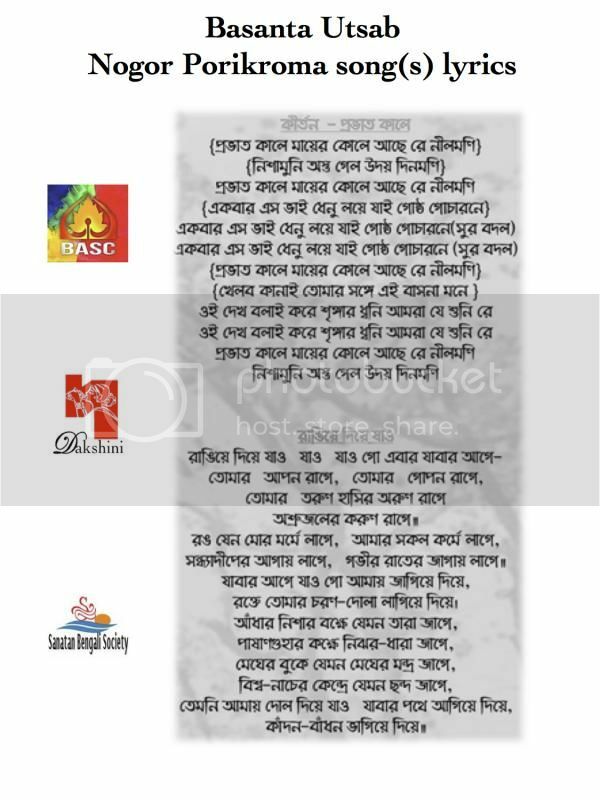 The event starts at 11am with the Nogor Porikroma and you are more than welcome to sing along with the group (see lyrics below). Once you arrive, don't forget to check-in at the registration desk and pick up food coupons there. The cultural program will start sharply at 12 noon!